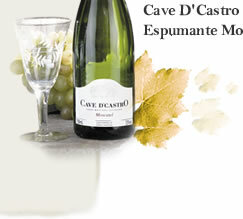 The company Vinhos Finos Casa Garcia Ltda. began in the year of 1997, when the brothers Alzemiro André and Iriane Cristina started studying in the Agrotécnica Federal Presidente Juscelino Kubitschek school in the city of Bento Gonçalves the course of Technology in Vineyards and Technical in Wines. Later in 1999 the younger sister Daniela also joined the course in Technical in Wines. Receive the news os the Casa Garcia in your mail box.